Calling all women attending the Duty Free and Travel Retail Summit of the Americas. Please make plans to attend the annual WiTR Networking cocktail hour at the Hyatt Regency Orlando on Sunday, March 24, at 5:30-7:00 pm just prior to the official Opening Cocktail. We will be meeting in the Orchid Room, adjacent to the pool area where the Opening Cocktail will take place. Cocktails are generously being provided by Edrington Americas Travel Retail and a selection of “women-themed” wines have been donated by WEBB Banks. And a special thank you to Aer Rianta North America and Jackie McDonagh for co-sponsoring this year’s event with TMI. As in the past, we will be holding a charity raffle and Silent Auction, and we already have some fantastic gift items that have been promised. We welcome your donations for the raffle, and please bring plenty of business cards and $$ to play! This year, we will would like to invite those of you interested in speaking briefly about your company or something special that you are doing, to drop me a line so we can schedule you into the agenda. ALL WOMEN IN THE INDUSTRY ATTENDING THE SUMMIT ARE WELCOME TO ATTEND. 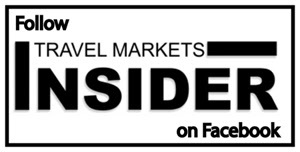 Please RSVP to me at editor@travelmarketsinsider.net so we can plan accordingly. See you there! Dufry has completely renovated its Departures shop in Ezeiza International Airport in Buenos Aires, turning it into a showcase for its innovative, state-of-the-art New Generation retail concept that incorporates extensive use of digitalization to engage with customers. TMI will carry a full, wide-ranging interview with Rene Riedi, Dufry’s Divisional CEO of Central and South America, who oversaw the project, in our March Show magazine. The TMI Show magazine will also feature a full profile on the store’s architect, Monica Ariaudo, who first designed a duty free store in Ezeiza some 25 years ago! Page 1. TFWA reports that the fourth China’s Century Conference, held earlier this week in Haitang Bay, was very successful and attended by a record number of delegates. Page 1. ACI this week released the results of its Airport Service Quality Awards, and the winners are… Page 2. Regionally, both Dallas Fort Worth and Toronto Pearson came away with top marks in the large airport category for North America. Page 2. Hudson Group wins a 10-year contract extension at Philadelphia International Airport. Page 2. Brazil announces a new round of airport privatizations. Page 4. Gebr. Heinemann announces a regional restructuring to strengthen its global strategy; Max Heinemann becomes CEO, and for the Americas, Nadine Heubel is named VP/CEO. Page 4. Edrington Americas Travel Retail makes a surreal statement with The Macallan Concept Number 1 in LAX & JFK with DFS and with International Shoppes in JFK. Former head of Edrington’s Global Travel Retail Business, Igor Boyadjian, is named MD of The Macallan. Page 3. SPECIAL DISTRIBUTOR FEATURE: Duty Free Dynamics brings added value to Americas travel retail operators. Read how this Panama-based travel retail company is spreading its vision of service and added-value throughout the region. Company founder and CEO Nicolas Dobry speaks with TMI. Page 5. The Wild Tiger Roars. Gautom Menon, founder of the unique Wild Tiger Rum, is set to embark on a 25,000-km road trip to help save tigers. Read more on page 5.